DeltaTox® II is a simple, rapid, extremely responsive, portable water quality test system. Designed for acute toxicity screening and adenosine triphosphate (ATP) testing, DeltaTox® II uses bioluminescence technology to screen for contamination in instances of drinking water emergencies and chemical spills into water systems. 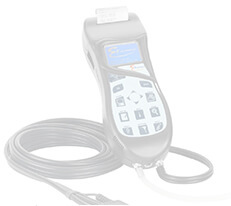 DeltaTox® II is the portable toxicity analyser used with the Microtox® technology. 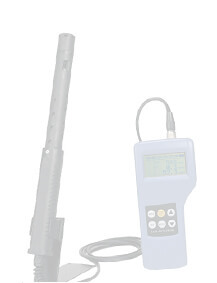 The DeltaTox® II instrument has a combined detection capability that provides a very sensitive and rapid test to detect two of the most probable classes of agents; pathogens and toxic chemicals, that may accidently or intentionally contaminate drinking water or wastewater. DeltaTox® II's acute toxicity and ATP detection capabilities make it the ideal instrument for rapidly and accurately assessing if the quality of drinking water, from the source to the tap, has been affected by an incident. DeltaTox® II is designed for use in any sample location throughout the water distribution or industrial waste water system. It is particularly suited to remote sites such as reservoirs, storage tanks, ocean or lake going vessels or in any hard to reach place. 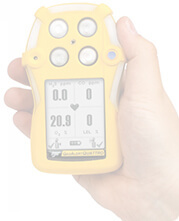 DeltaTox® II is the portable version of the industry-leading Microtox® Model 500 (M500) laboratory analyser. The DeltaTox® II test is fast, simple to conduct, uses small sample sizes and is very cost effective. Results correlate well with those from other toxicity bioassays such as fish, daphnia and shrimp. DeltaTox® II is used extensively in the measurement of toxicity of "fit for use" water and wastewater treatment effluent. It is also used as an early screening tool for relative toxicity as part of a test battery. DeltaTox® II test systems are uniquely suited for drinking water surveillance where supplies are monitored regularly and at strategic points. It can quickly reveal any changes in the level of toxicity of drinking water making it the ideal solution for major events. Microtox® has been deployed at every Summer Olympics since Los Angeles in 1984. In industrial and municipal wastewater, DeltaTox® II helps assure compliance with NPDES toxicity limits, measures toxicity in influent streams and determines treatment efficiency. DeltaTox® II can rapidly estimate the microbial concentration of a drinking water sample to a level of 100 cfu/mL without additional filtration or incubation steps. The data is available in minutes and is highly correlated with standard heterotrophic plate count methods. DeltaTox® II is extremely responsive and has been designed for use in a wide variety of applications where it is crucial to rapidly determine the biomass of a sample. 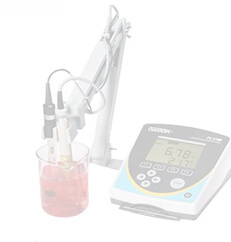 The Deltatox® II system performs a dual function; toxicity testing and determination of microbial contamination. The DeltaTox® II test system uses a strain of naturally occurring luminescent bacteria called Vibrio fischeri to provide acute toxicity detection. The bacteria emit light as a natural part of their metabolism. Exposure to a toxic substance causes disruption of the respiratory process of the bacteria resulting in reduced light output. 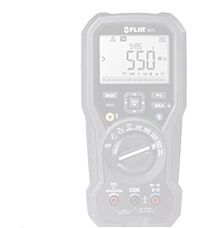 The Deltatox® II photometer measures the light levels before and after addition of the sample, and the reduction in light output is a measure of the toxicity of the sample. All organisms contain ATP as their main energy source and the amount of ATP in a sample is directly proportional to the biomass of the sample. ATP reacts with luciferin/luciferase, the enzyme system present in firefly tails, to produce light. In the reaction, each molecule of ATP produces one photon of light; the light output of this reaction can be accurately measured using the very sensitive DeltaTox® II instrument. DeltaTox One Year Extended Warranty Plan Warranty Plan includes annual calibration and cleaning, full parts and labour cover for failures (not those related to physical damage) plus shipping costs. Warranty Plan includes annual calibration and cleaning, full parts and labour cover for failures (not those related to physical damage) plus shipping costs. DeltaTox Two Year Extended Warranty Plan Warranty Plan includes annual calibration and cleaning, full parts and labour cover for failures (not those related to physical damage) plus shipping costs. 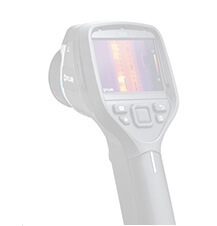 DeltaTox Three Year Extended Warranty Plan Warranty Plan includes annual calibration and cleaning, full parts and labour cover for failures (not those related to physical damage) plus shipping costs.